It can be easy to appear tall on screen if the rest of your cast is shorter than you. But when you have a cast full of tall men in The Expendables and you’re Sylvester Stallone or Jet Li, how do you do it? With the help of of height increasing shoes! 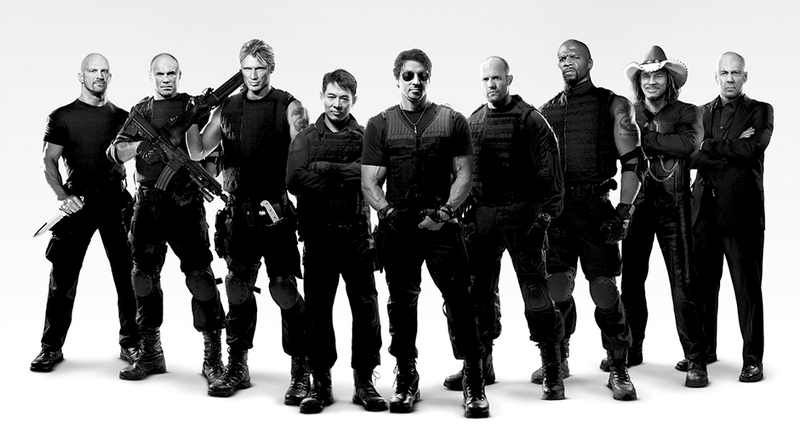 The Expendables film series is a multi-million dollar film franchise, grossing hundreds of millions of dollars. And this summer, the filming is set to begin on the fourth installment, The Expendables 4, with the return of Sylvester Stallone and likely Arnold Schwarzenegger. Filming is expected to returning to Bulgaria in August this year for an on-location shoot. However, if you’re Sylvester Stallone, measuring just under 5 foot 9 in height and you have to appear on screen next to the 6 foot 2 Arnold Schwarzenegger, you’re going to need some help in the footwear department so you can stand shoulder to shoulder. Muscles can be built through hard work in the gym and eating lots of protein but the only way you can add extra height is by wearing elevator shoes that have been specially designed to give you the few extra inches you need. Height increasing shoes are the secret to how Hollywood’s leading men can appear tall and confident whether they’re filming on set or relaxing on their days off. So if you’re the star of an action movie, elevator shoes can increase your height both on and off the set. Jet Li, for example, is just 5 foot 6. So for him to appear taller and on a par with his costars he wears luxury elevator shoes that can discreetly boost his height by up to 6 inches. Whether it’s Italian elevator boots or elegant dress shoes for the red carpet, Jet Li can walk in comfort alongside his towering 6 foot 5 costar, Dolph Lundgren, and appear just as tall as his Expendables action hero character, Yin Yang. Elevator shoes are extremely popular with Hollywood’s elite, as these height increasing shoes for men can add from 2 inches up to as much as 6 inches, boosting confidence and stature. And it’s not just on set that these Hollywood giants choose to wear Italian handcrafted elevator shoes, many of them choose to increase their height even when they’re not filming. Whether you’re a Hollywood action star or not, with the stylish range of height increasing shoes at GuidoMaggi, you can boost your height and self-esteem no matter what the occasion. These trendy elevator shoes have become popular with stars, such as, Ricky Martin, Tom Cruise, Antonio Banderas and Lenny Kravitz, proving that being taller is not just a special effect for the movies.